Let’s not beat around the bush, let’s get right to the point; becoming a bookie is legal and it can be lucrative. The question is this… How do I become a bookie, is it expensive, how do I get the process rolling, what do I do? First and foremost, let’s tackle the legal issue. The US Supreme court struck down a law that had been in place since the 1990’s, (in a nutshell) the law said this. “Offshore sports gambling was illegal from most of the 50 states.” Now, we all know that millions of folks went ahead and bet on sports and played their favorite online casino with little regard to the law. As a matter of fact, bettors have placed untold billions of dollars’ worth of bets since the early 90’s and even going back to the 80’s. Nobody blinked an eye. Of course, folks would often bet with trepidation and that was simply without merit. The US DOJ never intended to go after gamblers in any way, or for that matter, neither did the individual states. So, what is the actual state of gambling? Think about this; have you ever heard of anyone, from any of the 50 states, having been prosecuted for gambling online, from the comforts of their home? Of course, folks have been prosecuted for operating a corner bookie in the local bar. The prosecutorial process will go after folks that were once (famously) running numbers in New York or New Jersey. Every once in a blue moon, there would be news of a gambling ring bust and they were always underground operations. Just as in the movies, these types of gambling rings would invariably have a secret location, with a secret password and some enormous, scary guy, guarding the place! Look, that’s mostly fantasy. It is, and was indeed, mostly in the movies. Sure, it did happen from time to time and money laundering did go on and still does. Money laundering is absolutely illegal and always will be! Money Laundering Is Not Gambling! We know one thing; since the late 1980’s and the early 1990’s, folks have engaged in online gambling and they have not been pursued in any way and they never will be. This is especially the case now that the US Supreme Court has allowed for sports gambling in all 50 states. Do not listen to the Las Vegas “superbooks”! They want you to believe that online gambling is somehow sinister or forbidden and that you can’t possibly talk about it and should you talk about it, it would only be spoken of in hushed tones in dark places. What a bunch of hooey! Stop the insanity. Just don’t listen to this madness. Money, they want it all and they have been greedy since the 1940’s, even further back then that. Vegas has had their thumb on everybody since the turn of the century and they are afraid of losing what they once had. They want to feed you bad numbers at bad prices. Betting clients will go elsewhere and now, they are going elsewhere. They are flocking to the offshore bookmakers now, more than ever. The reason for this, bad numbers, bad lines and bad odds. 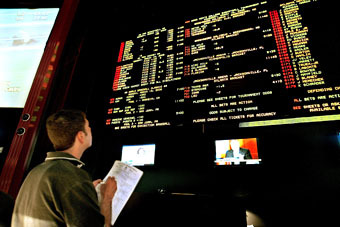 Bettors will often have 10 online sportsbooks. Sure, they want the action, but they want the best numbers in the business. If they can get a half point here or a half point there, they will take it every time. What is the cost to start an online sportsbook? In short, pennies on the dollar. Most of the fantastic Pay Per Head companies offering their services and the better ones, are around $10 per head. If you are looking for a turnkey operation that can be started with no upfront investment and you only spend when your players play, then by all means, look into the pay per head option. A pay per head literally does everything for you. It’s all-inclusive bookie software that acts as your accountant, it grades your bet slips, it keeps track of every dollar won and every dollar lost and exactly what you have taken in and shipped out. No matter if you have one playing client or 1,000, you must look into a pay per head. It’s the new way of doing business for bookies that are serious about making real profits and especially for bookies that no longer want to deal with all of the hassle that goes along with being a bookie. Now is the time to find an outstanding pay per head service, especially with the onset of baseball. Gamblers love to bet on baseball and they love the best lines and odds. Bookies have been amazed at the difference a pay per head makes. 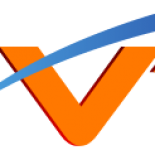 This entry was posted on March 30, 2019 by TonyK in College Basketball, Sports Handicapping Betting Tips and tagged gambling, Money, Offshore Sportsbooks, Sportsbooks, VegasTopDogs.